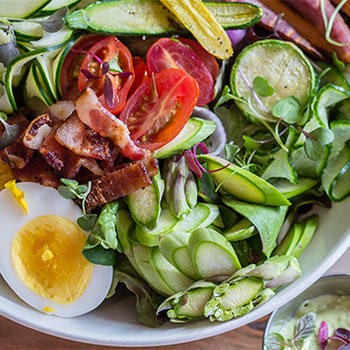 Go healthy with locally sourced fresh mixed greens, heirloom tomatoes and diced avocado accompanied by smoked applewood bacon, roasted turkey and a fresh hard-boiled egg. This protein-packed Cobb Salad features provolone cheese, classic bleu cheese crumbles and ranch dressing on the side. Toss and taste. We're one of the few coffee shops in San Diego that serve a takeout breakfast of fresh-smoked salmon with the works. It comes with cream cheese and chives spread, capers, minced red onions, heirloom tomatoes and baby spinach, all on a toasted bagel. 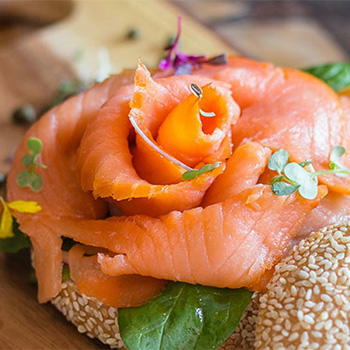 Enjoy bagel and lox for lunch or a snack, too, with a cup of the best coffee in San Diego. Fresh, seasonal fruit gets super-healthy with the addition of organic acai or organic pitaya (aka dragon fruit) served with tropical Guarana. We toss in shredded coconut and a nice helping of our delicious house-made granola. Lively flavors from antioxidant-rich foods for easy eating on the go. 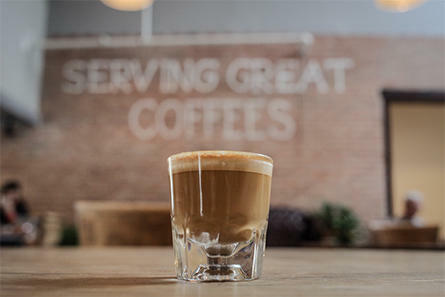 The coffee gurus at Swell say three things make a great Espresso: the grind, the dose-to-yield ratio, and extraction timing. They've put in the time pulling shots to deliver a perfectly balanced Espresso every time. 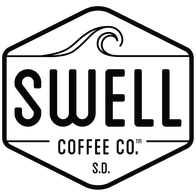 Swell serves only small-batch roasted coffees, fresh from farm to roast and full of flavor. 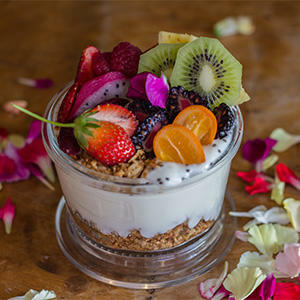 Our coffee shop in Del Mar serves organic, fair trade coffees along with a menu of lunch and dinner choices, many of them made with locally sourced ingredients. Breakfast is served all day. Swell Coffee lovers will find French presses, pour-over pouches, pour-over home systems and water canteens, sweatshirts, mugs and more Swell Swag. 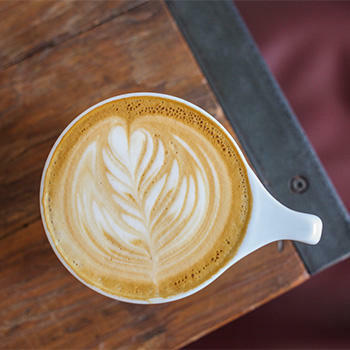 Swell Coffee Co. was founded on the owner's belief in "Time with family. Surfing. Good coffee. Good food. Health. Community." You'll feel a sense of that in our café in Del Mar's Flower Hill Shopping Center. Enjoy a cup of one of our delicious coffees first thing in the morning, for brunch or at a meet-up with friends. Like you, we care about the people who grow the eco-friendly coffee plants in coffee-farming communities worldwide. From the sustainably sourced coffee we receive from Heza, the "beautiful place" in Burundi, East Africa to our smooth, low-acid coffee organically grown in a Peruvian co-op, every cup of coffee we serve is a reflection of our commitment to community here and abroad.